A 10K beach run that allows runners to participate as individuals or as members of 3-person relay teams. The entire course will be restricted to the beautiful, white sand beaches of Alabama. The Race has World Record Certification by Guinness World Records! Pre-register by mail (entries should be postmarked by August 3), in person at McCoy Outdoor or Run-N-Tri in Mobile or Running Wild in Fairhope until noon on August 8, or online (www.raceroster.com) until midnight August 8. 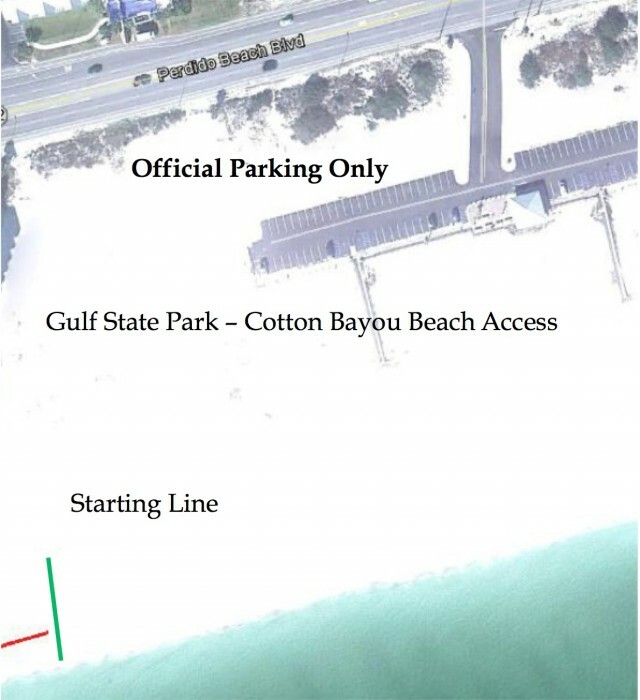 Race day registration at Gulf Shores Public Beach from 5:30 – 6:30 AM. 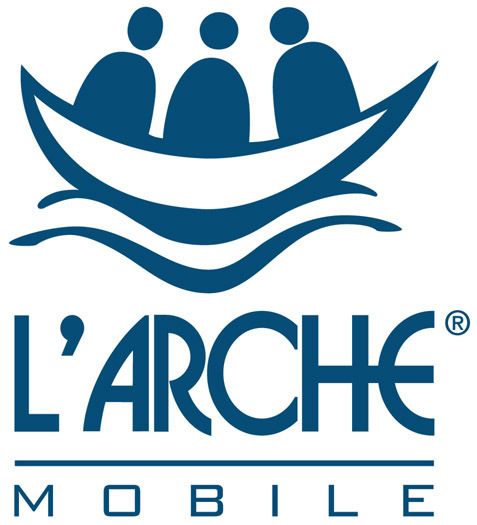 Registration fees will increase to $40 for adults on race day. Participants registered by August 1 will be guaranteed a t-shirt on race day. Shirts will not be reordered after the race. Food, beverages, and LIVE music will be provided after the race. All registered participants will be eligible for door prize drawings - you must be present to win. 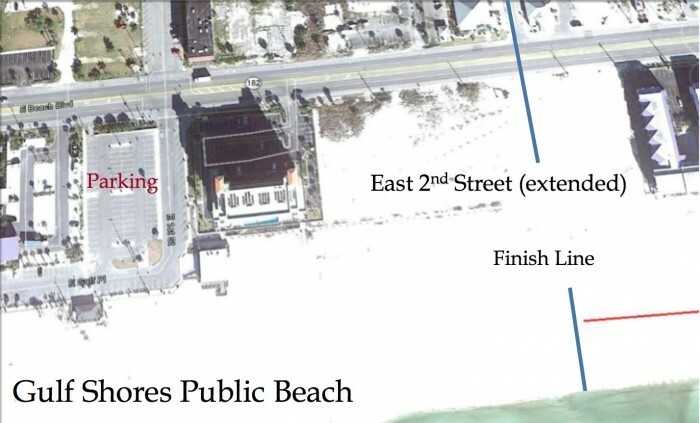 Prior to the race we will have bus transportation beginning at the Public Beach in Gulf Shores and running to the Main Beach Pavilion – where it will pick up more riders – and take them on to the first relay station and the Starting line. After the race, the buses at the finish line will deliver runners to the Main State Park Beach Pavilion (the secondary parking area) only – and not go to the starting line. 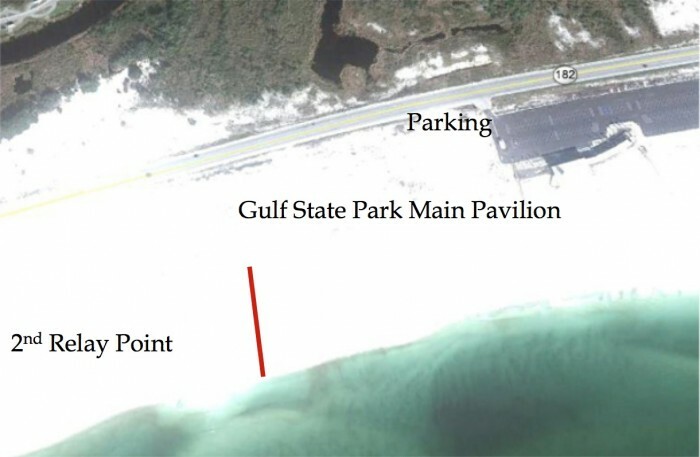 All Relay Participant Parking should be staged at the Main Beach Pavilion of the Alabama State Park or the Gulf Shores Public Beach parking lot. For safety reasons, all participants must wear shoes throughout the race. 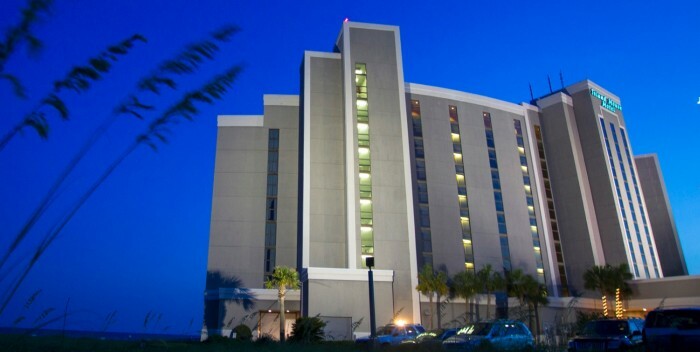 and offers rooms discounted to $129.99 per night”.